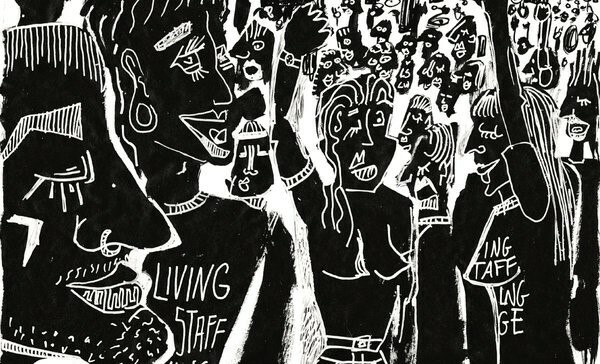 Hackney Picturehouse workers are currently striking for a London Living Wage. Teeming with a bunch of talented creatives, the staff are putting on a night at The Victoria in Dalston, which will feature an exciting and refreshing array of musical acts (some of whom are amongst the striking employees), with all of the profits going towards supporting the workers who have lost out on wages for walking out on strike. Campaigning for a fairer wage, sick pay, maternity and paternity pay, alongside the Ritzy in Brixton, has seen staff striking several times since September last year. As the employer continues to refuse to negotiate, workers continue to ask to be respected by them. The workers have had tremendous support from regular customers, residents and individuals who recognise the importance of this issue and it has been greatly appreciated by workers/is extremely valuable to the on-going campaign. 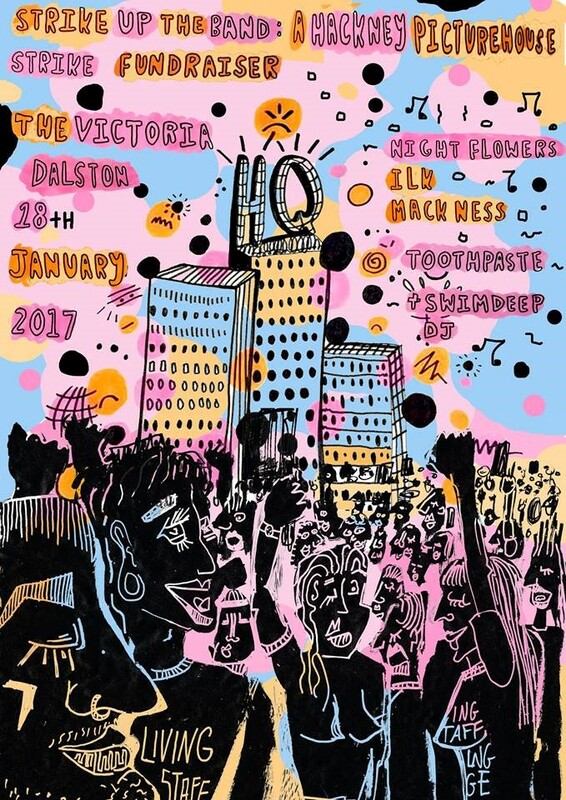 The night at The Victoria promises to be something of a party not just for the workers but for anyone who wants to come along and get jiggy with it to some great sounds. A joyous combination of intertwining female/male vocals backed by glistening guitars and dreamlike atmospherics has seen them amass friends, fans and accolades across the world. With their debut s/t EP selling out fast, last year saw a Japanese special EP and 2 track single ‘Sleep’ released in quick succession, gaining international acclaim from the likes of Pitchfork, NME, DIY and The Line Of Best Fit whilst enjoying repeat airplay and praise from Steve Lamacq on his BBC 6music show. Reaching out extensively across the UK, the band have honed an incendiary live show, gathering a loyal and solid fanbase in the process. Ilk’s colourful and dreamy songs unravel against a collision of psych pop influences and scruffy, found sound warmth. Their songs and sketches are somehow both grandiose and playful, upbeat and melancholic. Reflective electronic music that reaches across the fringes of dance music, draws from choral harmonies and conjures a sense of calm coupled with uneasy revelation. Big, fun power-pop with catchy choruses, wry romantic lyrics, and more guitar solos than you could wish to hear. + SWIM DEEP will be DJing tunes! Doors at 7. Bands finished by 11. Tunes until 1am.